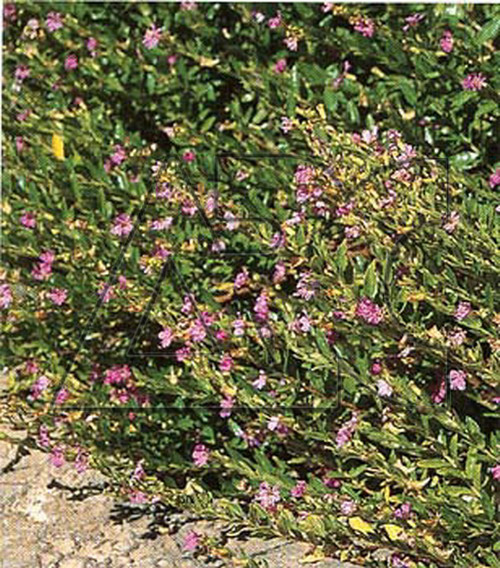 The Mexican heather is a densely branched sub-shrub with small, glossy leaves. Cuphea hyssopifolia varieties range from 1 to 3' tall with tiny lavender, purple, or white flowers. They can be trimmed to almost any shape you want, and grow back rapidly.